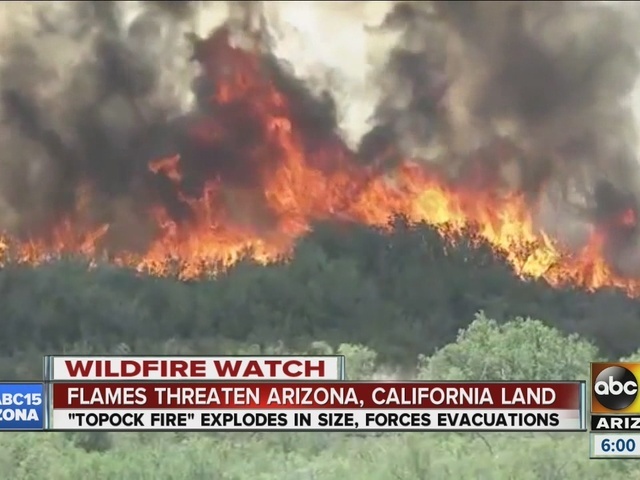 Officials say a suspicious wildfire started overnight along the Arizona-California border continues to grow, reaching nearly 1,500 acres as of Wednesday evening. 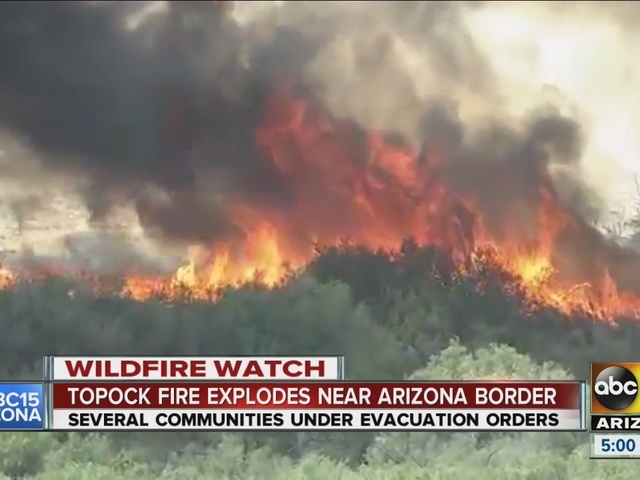 The "Topock Fire," burning south of Topock and northwest of Lake Havasu City, has burned 1,438 acres in both Arizona and California. The Bureau of Land Management in Arizona said the fire originated on the Arizona side before spreading to California. A massive fire has also hit Oklahoma, the Weather Channel reported . Mohave Valley Fire District said firefighters first responded to the fire around 4:30 a.m. local time Wednesday after receiving reports about a fire in the Havasu National Wildlife Refuge. Flames sparked in Arizona and winds pushed them across the Colorado River into California, Mohave Valley Fire said. San Bernardino County Fire tweeted that structures are threatened, and one has so far been damaged by the flames. 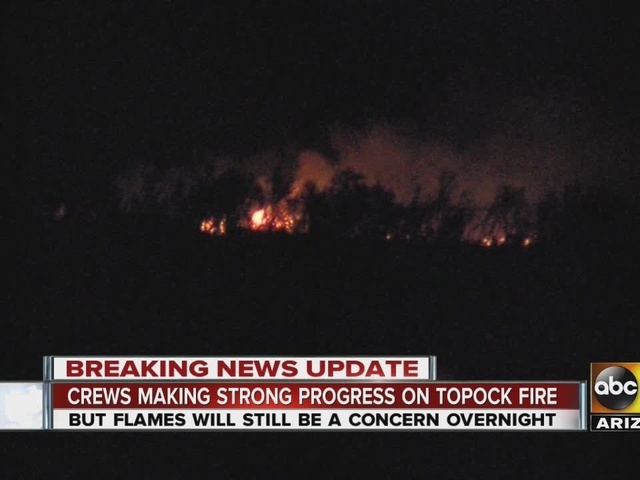 Mohave Valley Fire says threatened areas include RV parks and the Topock Marina. 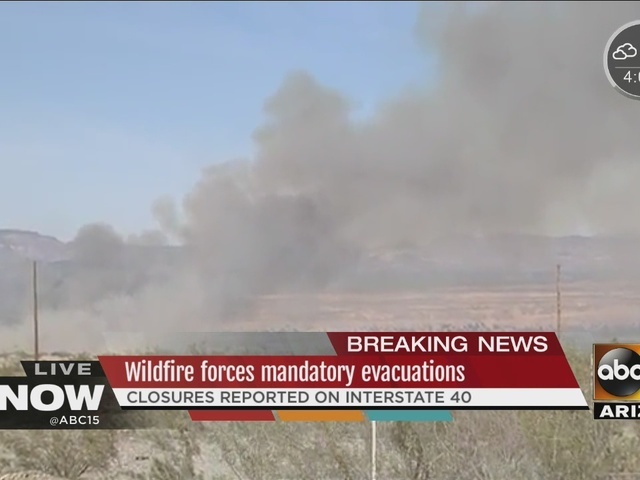 There is a mandatory evacuation in place for some areas.